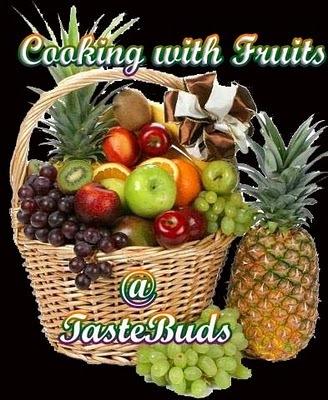 Pre-heat the oven to 350 F. Sift together flour, sugar, salt and baking powder into a bowl. 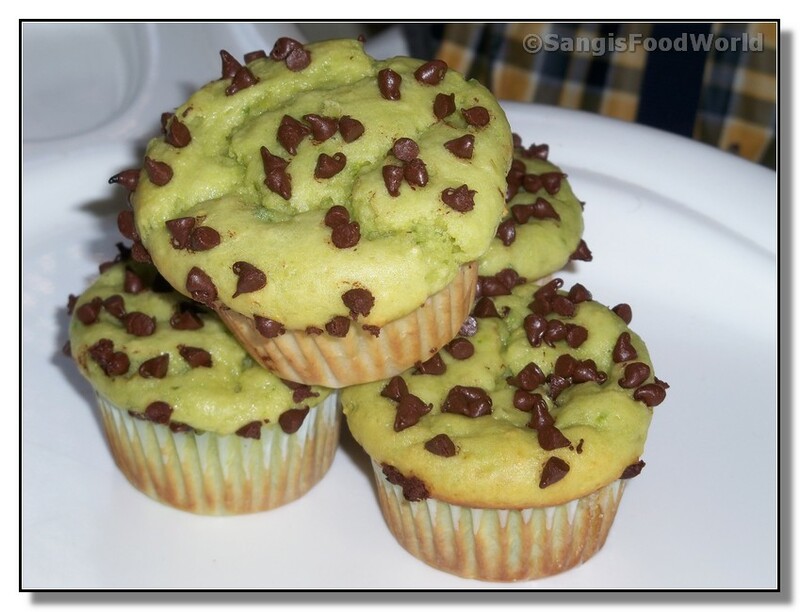 Combine egg, sour cream, vanilla, avocado into another bowl until completely mixed. Add the wet ingredients into dry mixture and mix until just combined, like 3-5 strokes. Do not over mix. Over mixing will tend to produce tougher muffins. 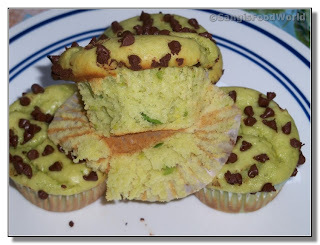 Divide the batter equally among 6 cupcake moulds lined with cupcake liner. 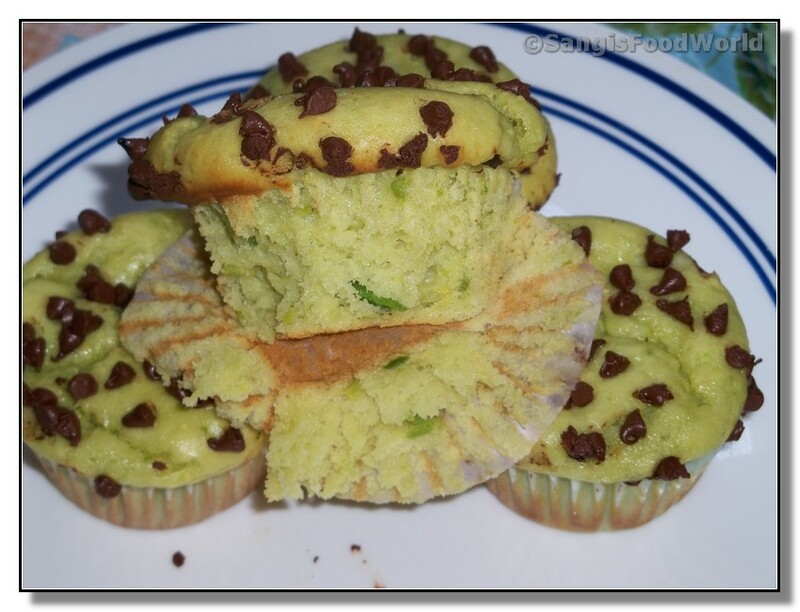 Bake until done or the tooth pick inserted comes out clean. 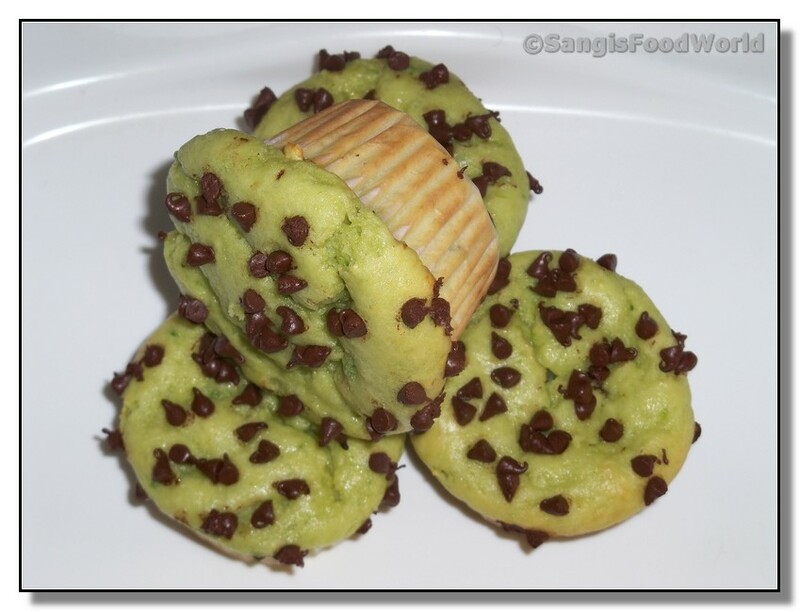 Wow..perfect looking avocado muffins..loved the choco chips on top! 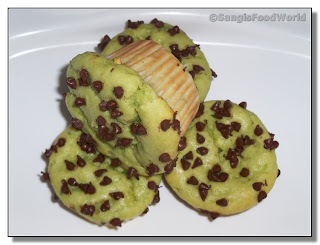 Those muffins looks absolutely marvellous and addictive..
wow, so unusual and yummy looking.